The "Re: Dakar Arts Festival" project evolves around the correspondence between the Swiss Gallery Irrthum and Senegalesefestival organizers. Who is who? 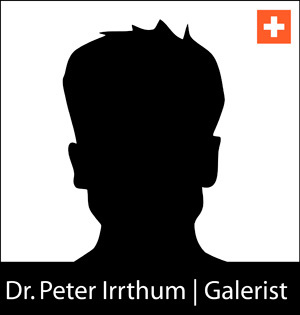 Peter is a busy Swiss gallerist and owner of Galerie Irrthum based in St. Gallen. He spends his working days in meetings networking with sponsors, producers, curators and artists. He never gives up an opportunity to meet new interesting people. Peter is tough and demanding, yet friendly, generous and impartial. 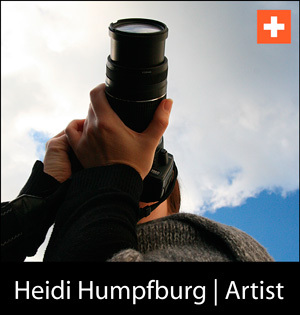 Heidi is a photographer and artist from St. Gallen, Switzerland. She graduated 1992 from Züricher Hochschule der Künste. As an photographer she has freelanced for many national and international magazines. As an artist she has exhibited both nationally and internationally with her photo documentations, the newest one “Falsche Hoffnung” was sent to the Dakar Arts Festival 2010. She has also made workshops e.g. "Nano camera building", and "Unplugged Photoshop", her interests includes amongst others analog and telekinetic development processes and channeling. Heidi has a bit of a naïve, yet very positive approach to life. Her enthusiasm to exhibit in Dakar shines trough in her blog posts. Toni is Peter's practical right hand and highly depended of his e-mail and phone. He has a high tolerance for stress, yet when his fuse burns out he can be pretty straight forward. 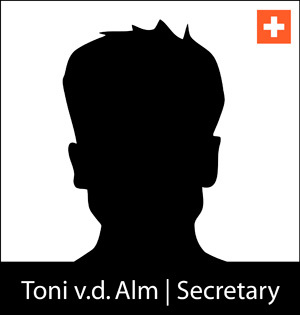 Toni is a critical mind and he is in secret dreaming of a private investigator practice, hence there is not much happening in his hometown St. Gallen, Switzerland, so the dream has not yet gotten wings. The e-mail invitations and open calls that are spread over the internet refer to her as the organizer and contact person of the "Dakar Arts Festival". Mariama Sy is the first person artist and gallerist are in contact with, she delegates various responsibillities like hotel and flight bookings to other contacts. 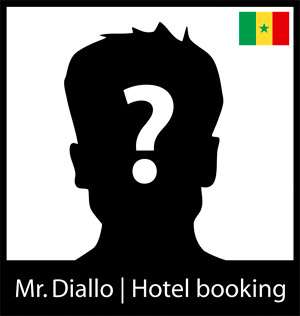 Mr. Diallo is the hotel booker for the "Dakar Arts Festival". From his point of view, Dakar is a safe place to stay, so there is no need for a Hotel deposit box. "Eyerything is ready to welcome the artists!" Since he has to organize all the hotel bookings and airport transfers, he hardly finds the time to answer any questions and it is very hard to negotiate with him. 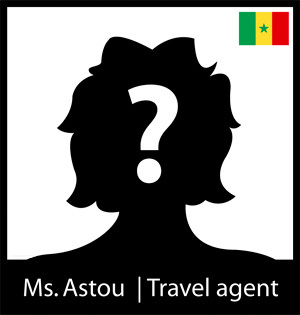 Mrs. Astou works at the "Senegal Voyage" travel agency and covers all the artist flight bookings and price reductions due to the grant offered from the "High Cultural Office" of Senegal. She has a hard time to get all the flight booked on time, so it can easily happen that she mixes up flight dates, airports or she 'forgets' to send an invoice with the payment request. He works at the SDS-SAS-SENEGAL OFFICE in Dakar and is responsible for insuring the artworks. He wants to know all the details about the artworks so that the insurance and shipping documents can be prepared. Of course he also wants to know the value of the artwork. Mr. Yassar Kaba is the 'formal' Accountant of the Dakar Arts Festival organization. The Western Union account runs on his name and by request he shares with you various identity cards so that you can wire the money to his account.